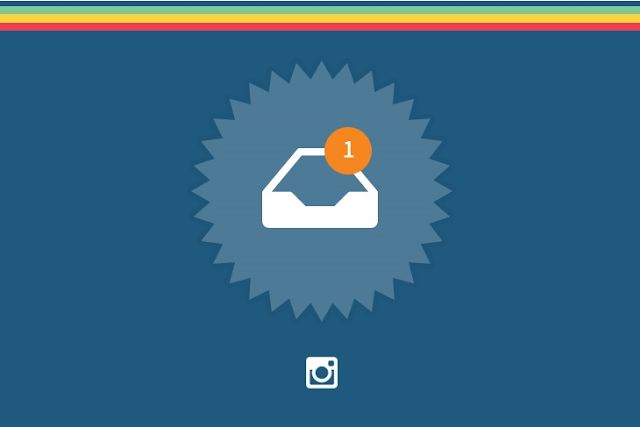 Instagram Direct has always been a bit of a spartan messaging service. Messaging certainly wasn't a core feature of Instagram in the past, and it kind of became one by accident, as the platform gradually morphed from a photo journal to an all-encompassing social network, complete with bloggers, trolls and a whole new lexicon of weird millennial nomenclature. Direct messaging has become something of an art unto itself, not dissimilar to the messaging service you get on Twitter, but it's always been somewhat limited. Photos always carried over in the same default aspect ratio, regardless of what the original one might have been, but more importantly, it didn't allow users to post hyperlinks to external web pages. Instagram have now rectified both of these issues - photos will now appear in their original aspect ratio and external links will appear in messages just like they do in other services like Messenger - the recipient will be able to see a little page preview before hitting the link. Currently both these updates are coming available on iOS on a rolling basis, with an Android release not far behind. It's somewhat surprising that Instagram have taken this long to implement hyperlinks, since the DM service has been increasing in popularity rapidly. At present, it's one of the most popular messaging services on the planet, sporting 375 million monthly active users. A big part of its popularity is due to the fact that Instagram users interact with different people on Instagram than they do on Facebook. While friends will follow and message each other, inner circles of like-minded individuals spring up on the platform all the time, making the need for an intuitive messaging service all the more understandable. Also worth considering is the fact that direct messaging has been a part of the Snapchat framework from the get-go. In fact, the last time Instagram revamped their DM service, it was to add ephemeral photo and video content to messages. Better aspect ratios and hyperlink compatibility are both more sensible additions that this, but make no mistake, the DM service was introduced to help Instagram strengthen its lead against Snapchat, and that prerogative hasn't changed.